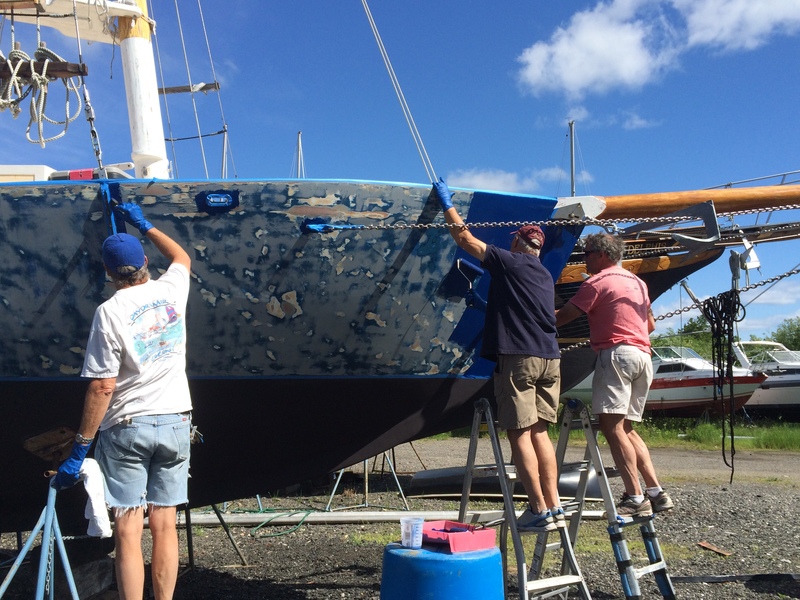 Brian volunteered his Sunday morning to one of the other boat owners at Captain’s Cove. 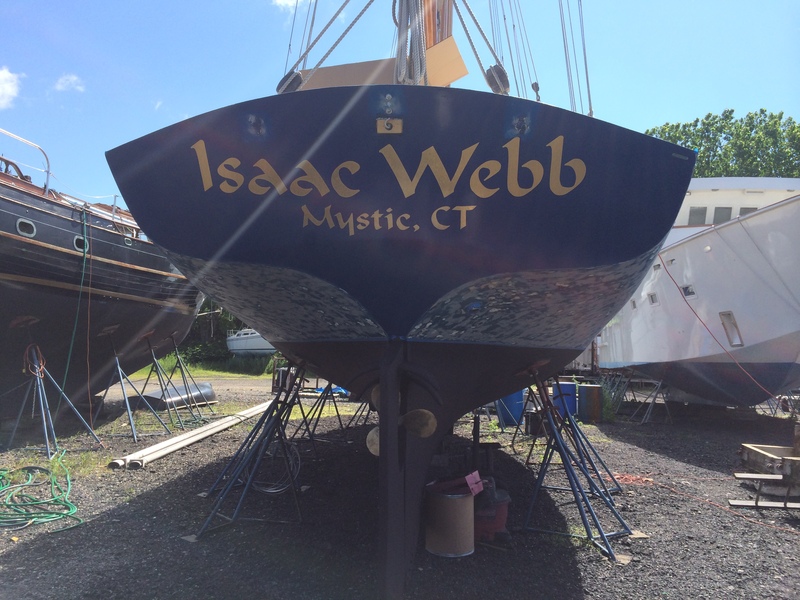 John, the owner of the Isaac Webb, needed an extra hand or two to get the topsides painted on his boat. Another owner, Tim, was there to help as well. Brian used the chance to gain experience so when he and I get to paint Scout, he will have some practice. 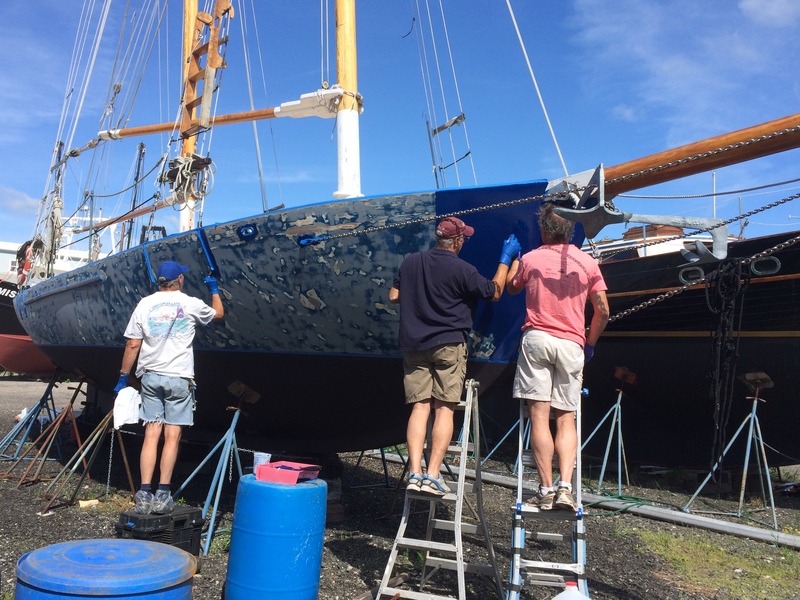 It is always a challenge to work on someone elses boat, but the 3 guys all played nice and get the entire hull painted in less than 3 hours! 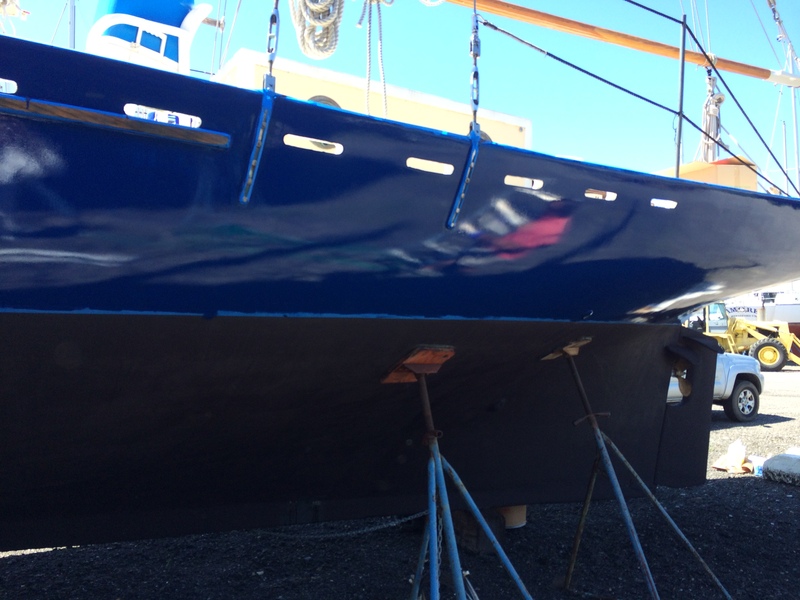 It will still need another coat, but what a difference it made. Can’t wait to see Scout in her new colors! 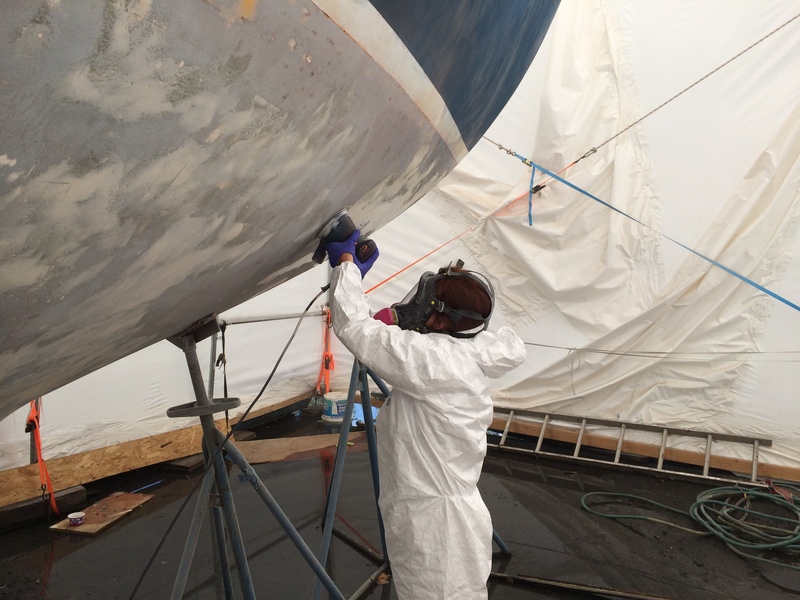 While Brian was painting, I climbed into my Tyvek suite and respirator, and continued on the blisters on the bottom of the hull. 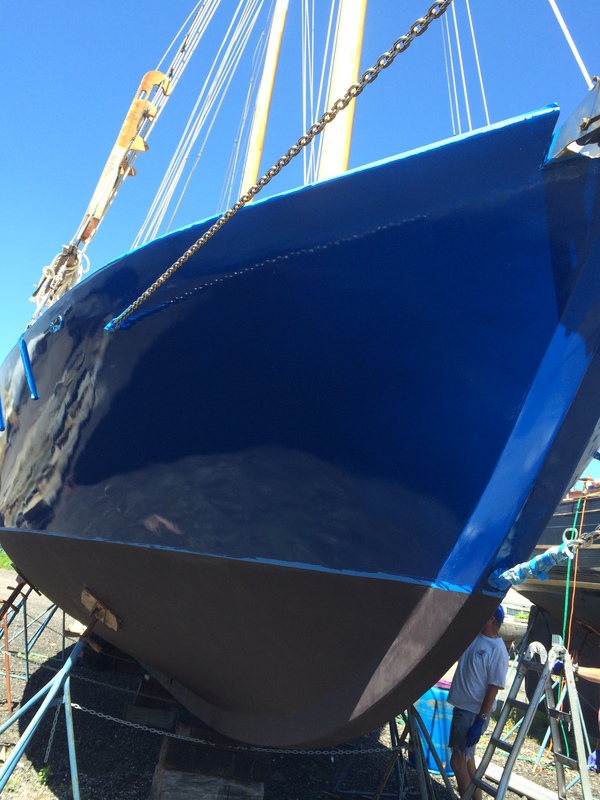 Good news is that I have completed filling all areas on the hull. 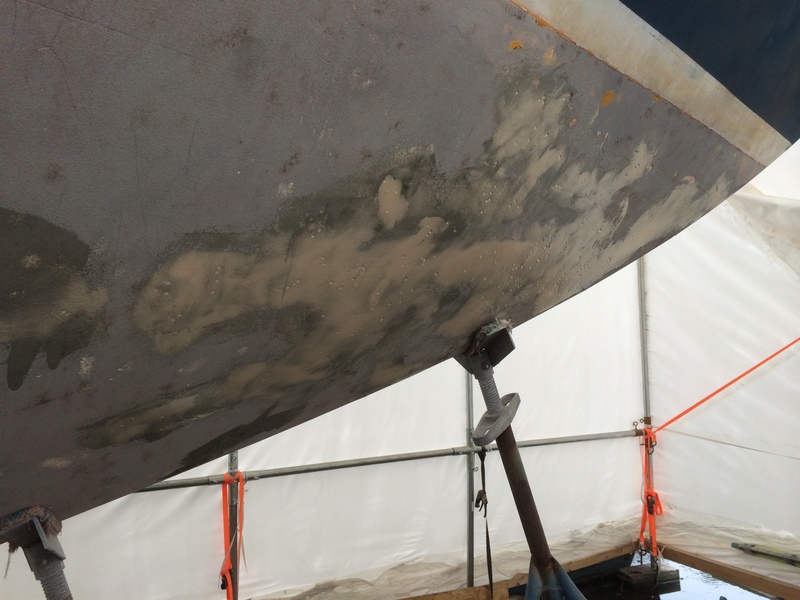 My next day off is Thursday and I should be able to sand the entire hull. Brian will finish the few spots that need another application of fiberglass cloth so the final sanding will be done by Thursday by mid afternoon. My goal is to be ready to apply the barrier coat next Sunday. More sanding in my killer Tyvek suit. An amazing way to sweat off weight! Oh yeah, it was a gorgeous sunny day on the sound and we did get a sail in too. 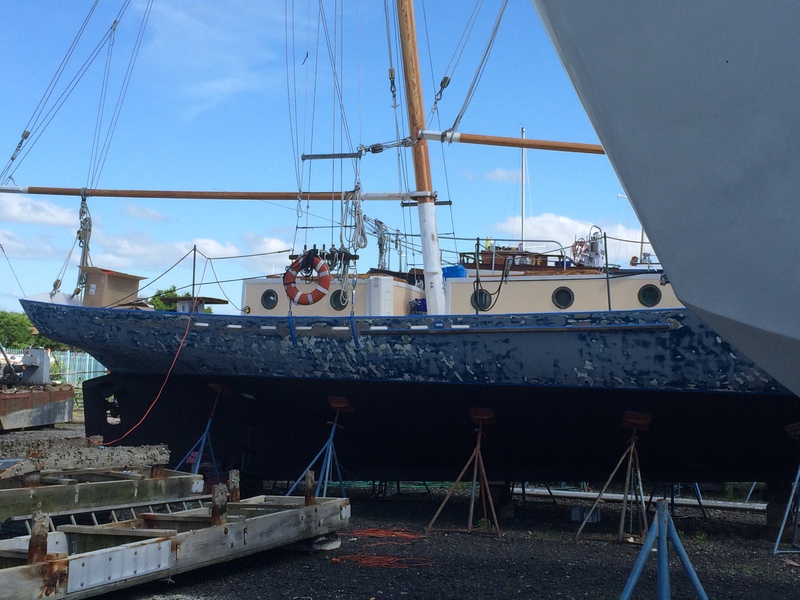 An unpredictable NW wind, got a little wet, got a lot of sun, and it is always a good day when you can sail!